Offering the best of style and comfort, this ultimate clothing set is brought to you by Zero. 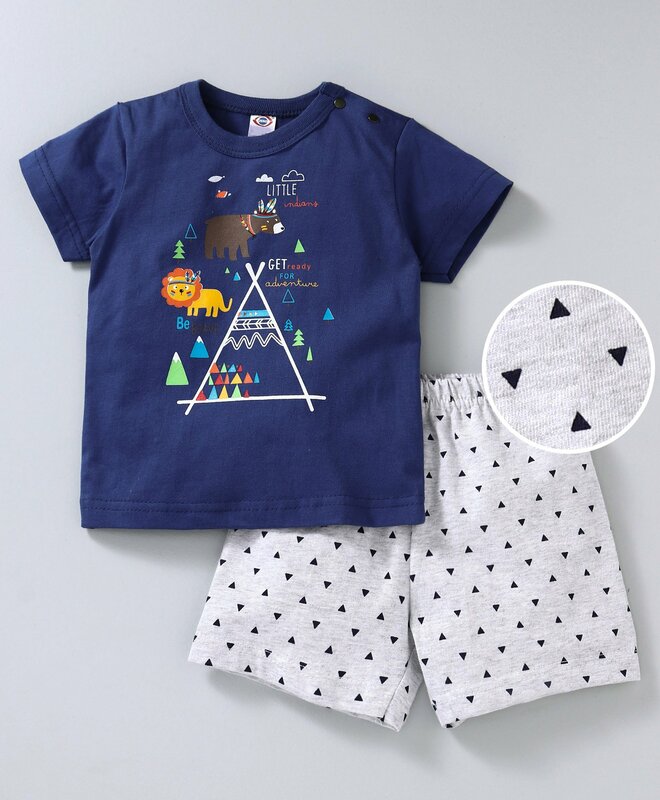 Fashioned using premium quality fabric, the set includes a smart round neck t-shirt with snap button access one shoulder and elasticated waist shorts that will keep your child at ease the whole day. The t-shirt features tribal print with cute animals on the solid color and all over triangle printed shorts. Soft fabric of the set helps keep your child snug all day long.